Due to the growth of the business and increases in production capacity in recent years for Maccaferri Central Europe, it was decided to build a new production plant and to relocate the factory from Brezova pod Bradlom to Senica. The aim of expanding production at the new plant is to increase and optimize production capacity to ensure better coverage of the Central European, Balkans, Scandinavian and Baltic markets. 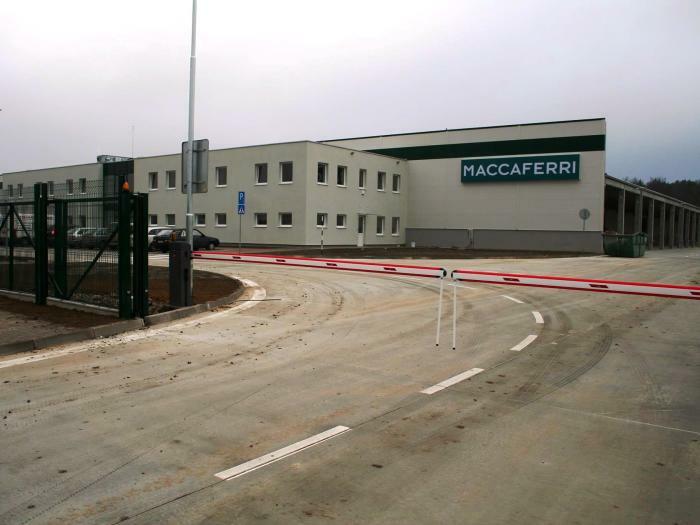 Maccaferri has owned the land in the Industrial Zone of Senica since 2007, but it has only been recently that the global economic climate has enabled the construction of the new production facility and achieved this important millstone for the business. The new Senica plant has a floor area of 11,000 m2 and is divided into several parts, including a two-storey office building. Located within the main factory are production lines for geosynthetics and double twisted wire mesh products and their derivatives. Also within the facility are covered and outdoor storage areas and parking areas. If required in the future, there is space and potential to further extend the production hall.